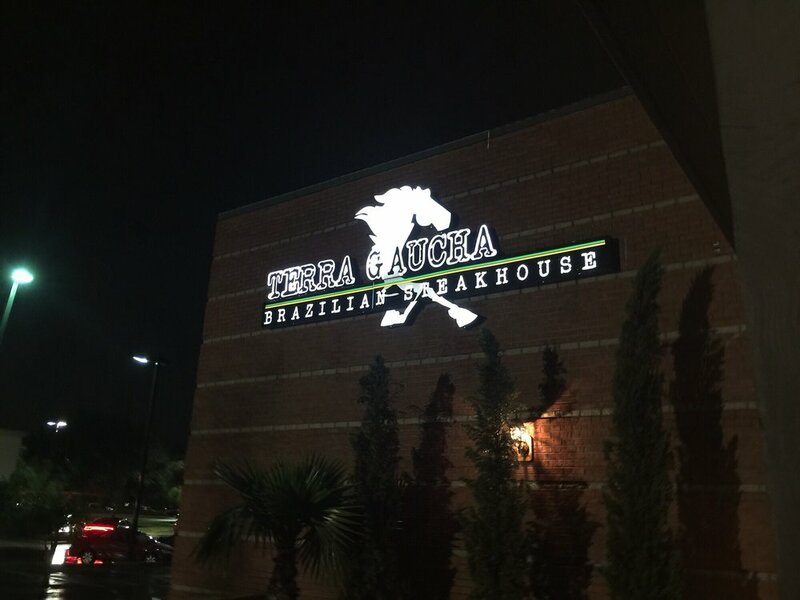 It was fun going back to Terra Gaucha, for a friend’s birthday. It has been a while since the last visit and I was hoping it was a good as I remembered it being; it was. 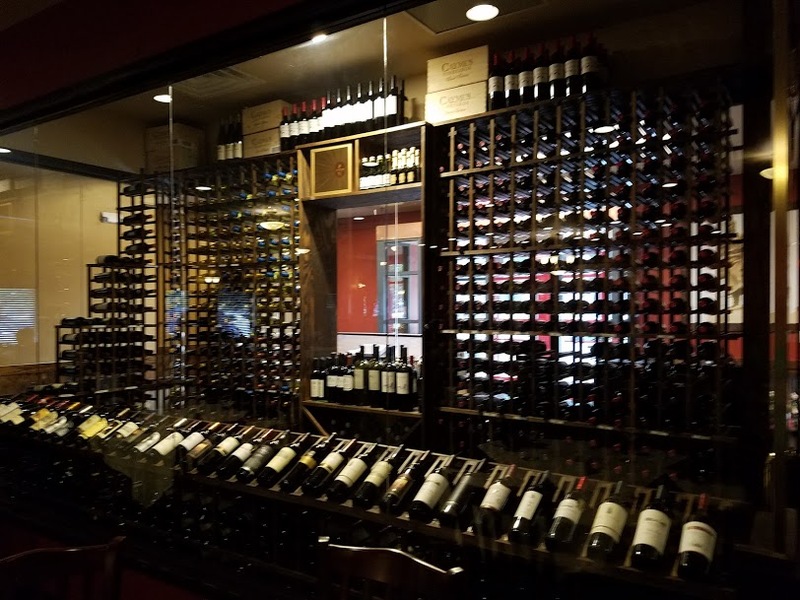 The room is nicely appointed in dark wood, a large wine room sits behind the hostess desk that opens up to a large well set dining room, the bar being off to the left. 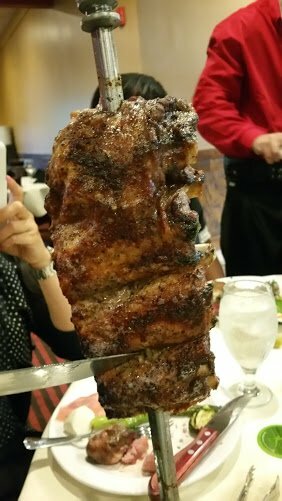 We were quickly seated, and greeted by our server, he explained fully how service works for those who have never experienced a Brazilian Steak house before, drink orders were taken and we went to look at the gourmet salad bar. 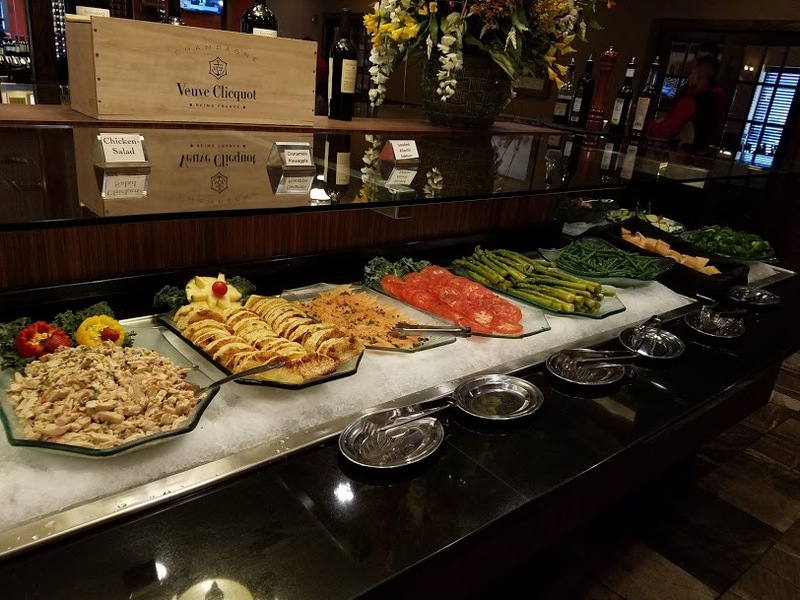 The salad bar has 20 plus items to choose from and those who are non meat eaters will have many options to choose from. 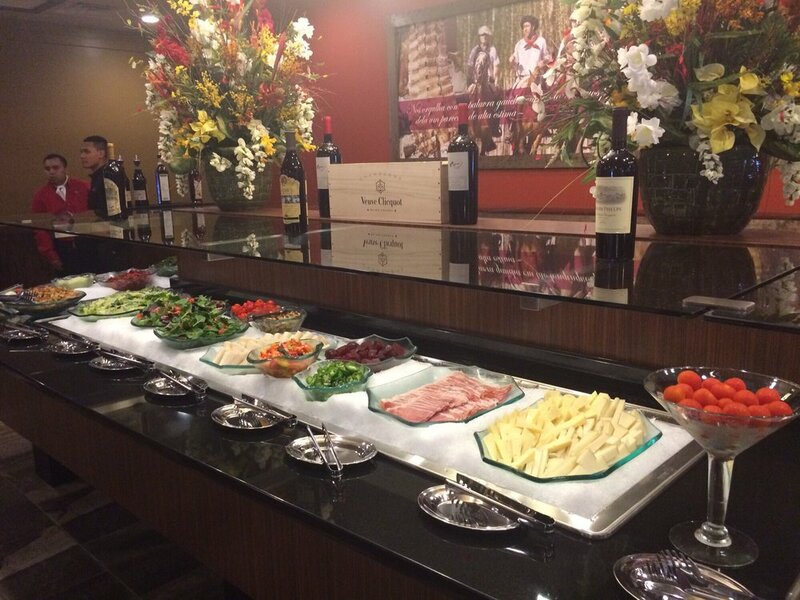 As well as the salad bar, there are several hot items available, rice, potatoes and black beans and soup . 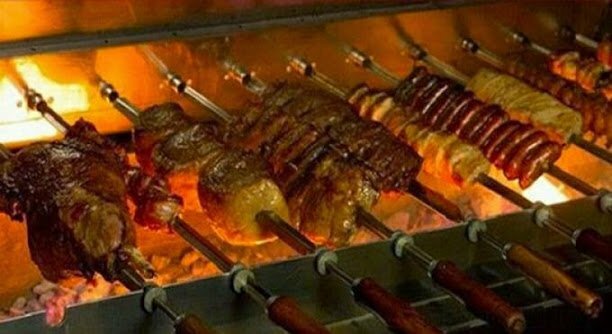 The concept is quite simple, small medallions are at each plate, one side green, the other red, if the green side is up the “gauchos” will continue to offer the various cuts of meat served directly from the spits. Red side up no meat will be offered. The gauchos, rove around to each table, to insure diners are not without food. 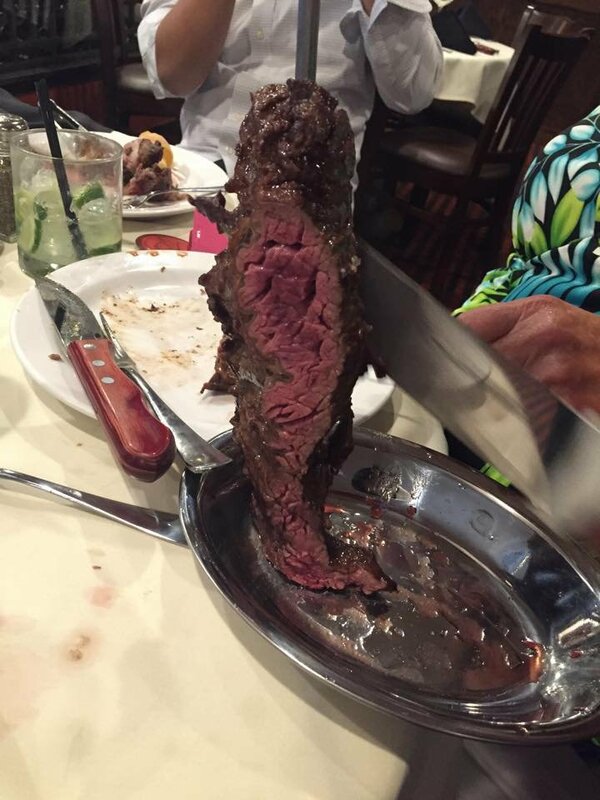 You can ask for the meat to be served to your liking rare, med etc. When the time comes for meat service each diner has a small tong, the meat is cut, the diner uses the tong to accept the meat and place it on their plate. 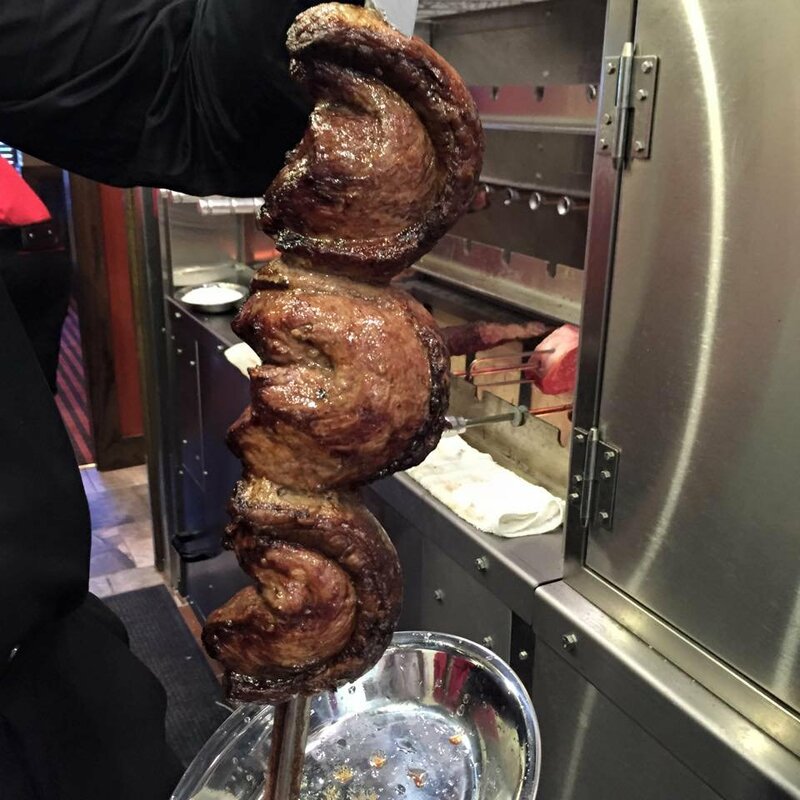 There are many meat options available: Top Sirloin, Bottom Sirloin, Rib Eye, Beef Tenderloin, Leg of Lamb, Pork Ribs, Lombo De Porco Com Parmesao, Pork Sausage, Chicken, Bacon wrapped Filet Mignon, Garlic Picanha . All of the listed are presented by the gauchos until you are completely sure you can eat no more. 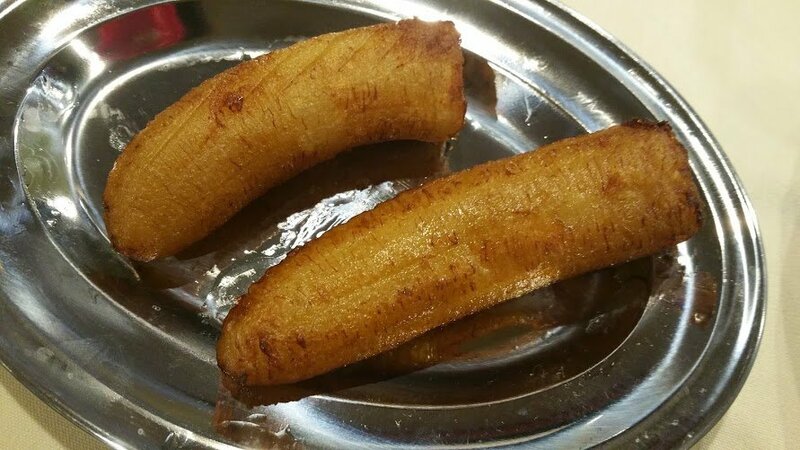 Along with the meat each table is served, Fried Polenta Sticks, Roasted Bananas and the addictive warm Parmesan cheese puffs. We looked at the dessert menu, but no one could imaging eating more food. 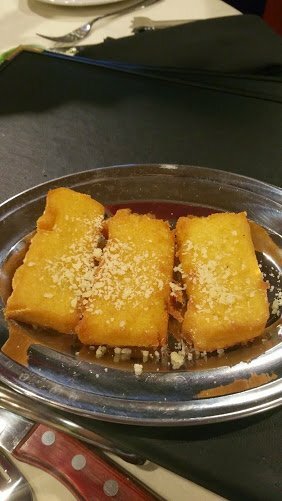 I know from my previous visits, the Flan is excellent, and so is the Creme de Caramel. 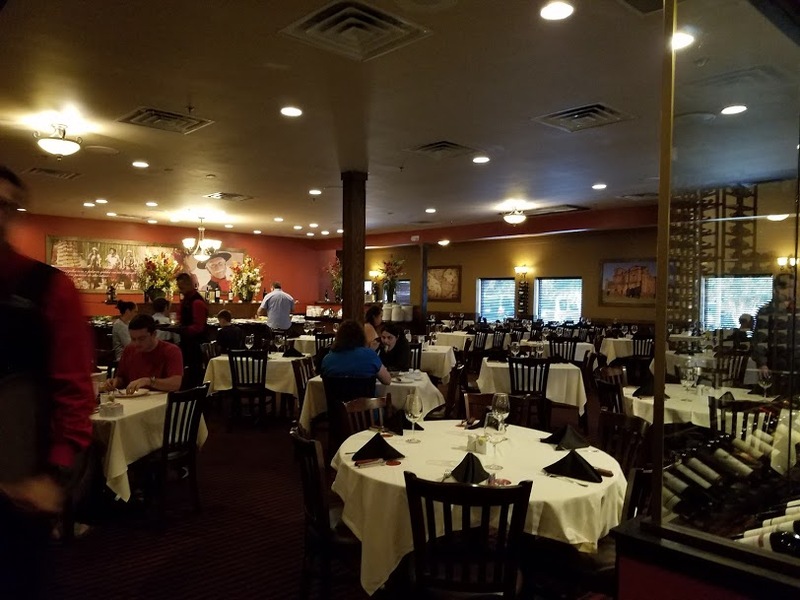 We agreed this is the restaurant that everyone who enjoys fine dining, excellent quality meat, a well stocked salad bar, flawless service should visit at least once. Don’t miss it, get the besties, make it a date night, or just go because you deserve it. My wife and I would agree. This establishment is top notch. 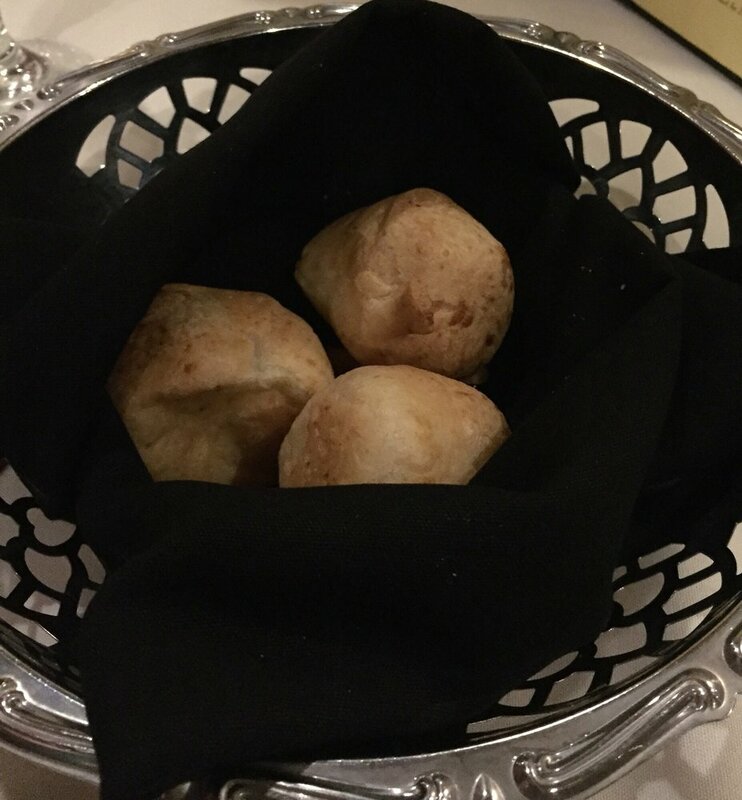 All three visits had exemplary food and service. For the price, the value is hard to beat. One of our favorite restaurants in Jax! Cheers! 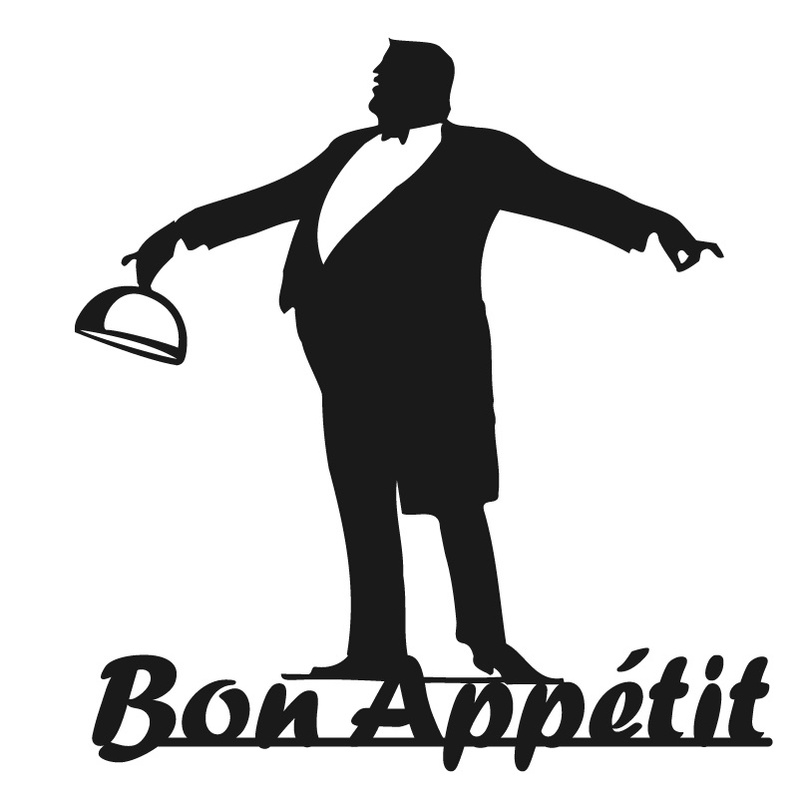 Glad to hear you’re both out and enjoying the food scene. Thanks for reading.